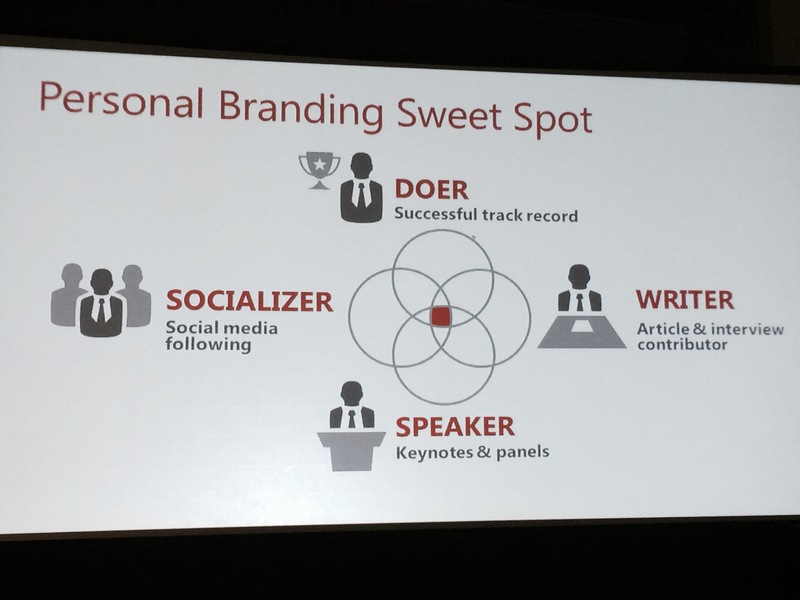 Personal branding and social strategy – it’s a subject close to all digital marketers’ hearts. 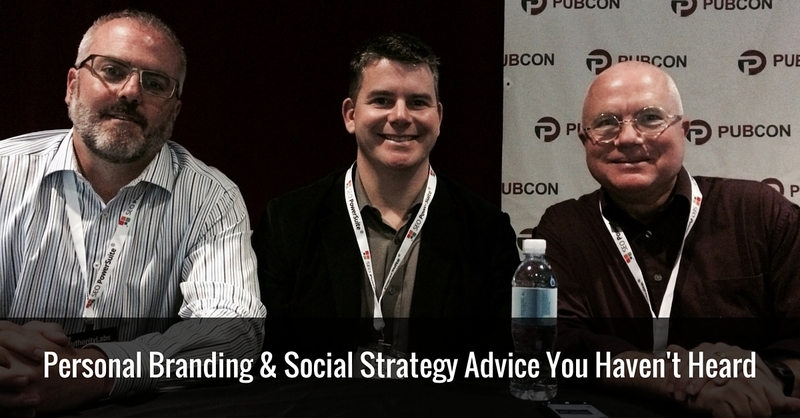 Mark Traphagen, Matt Craine and Mel Carson are speaking on this hot topic at Pubcon Las Vegas. Hear what they have to say on the importance of personal branding in a world where everyone is Googling everyone else. Mark Traphagen (@MarkTraphagen), senior director of online digital marketing at Stone Temple Consulting, kicks it off. How can personal brands work for business? Businesses need to make real connections, he says, and that’s hard to do if you’re simply a brand. You need to create emotional connections with your consumers. “How do you take something as dead and inert as a brand and make it alive?” asks Traphagen. Build community. Moz does this spectacularly. One of their great successes has been building this active, passionate community around their brand. 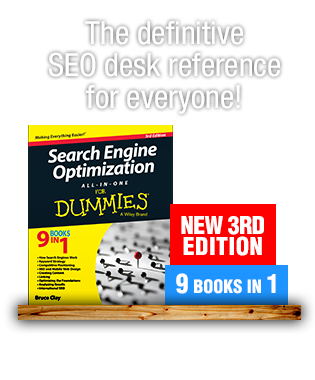 This community is, in turn, more inclined to try out Moz’s products. Get involved in things that people really care about. Traphagen shares an example of a pet insurance company creating content about not leaving pets in cars when it’s hot. People care about that, and that made them care about the pet insurance company by proxy. Give your employees the freedom and tools to be involved in social on behalf of your brand. “Advocacy is born form culture, not technology or marketing,” says Jay Baer. You can’t order your employees to do this, but if you create a culture where your employees LOVE your brand, it will come naturally. Encourage it. Develop and encourage people to be personal brands. It can have a powerful effect because it is human. We have a desire to belong and to connect. We want that as humans. We want to converse. We want to speak and be understood. Conversations are extremely important. We’re very drawn to humans. It’s called pareidolia. Evolution has trained us to be drawn to other humans. Consider the now defunct Google authorship — Google recognized the value in seeing a real face next to a piece of content. Your brand will most rapidly and successfully gain the social trust of its audience when it is associated with powerful personal brands (i.e., individuals). As they go out into the world and connect with people, the authority of those people is transferred onto the company itself. Read more from Traphagen on personal branding here: stonet.co/pbrmoz. Mel Carson (@MelCarson), founder of Delightful Communications, calls brand an experience. An effective brand, he says, is way more than a logo. What is the impression you’re leaving? Be discoverable. Be shareable. Be memorable. Build a brand through PR and social. Build relationships to become trusted. Differentiate through emotional connections to become more remarkable and unmistakable. Only 15 percent will be believe a brand, but 90 percent will believe a peer, friend or family member, according to Nielsen. Nurture your loyal fans. Invest in a professional photo. According to PhotoFeeler.com, the photos that resonate the most with others are close-up, smiling and showing teeth. Make your out-of-office email work harder. Don’t just say you’re out of the office. For personal branding, you should say why you’re out of the office. Offer a Twitter handle, an email signup, etc. Create a social media ratio that is 60 percent business and 40 percent personal. Be thoughtful about your bio on third-party sites. Label your photos with your name (for SEO). Add social channels and messages to emails. Make your business cards stand out. Make LinkedIn a living profile. Be social by design. Link channels and repurpose content. Brand strategist Matt Craine (@MattCraine) asks, “what is your brand?” It’s not what you think it is — it’s what they think it is. You don’t own your reputation. You’re at the mercy of what everyone thinks of you. 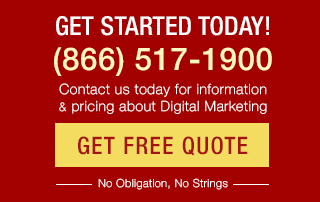 Eighty-five percent of consumers rely on search engines to find a local business. 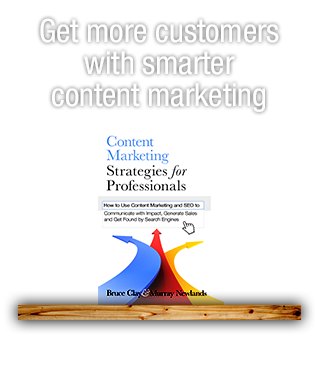 Seventy-eight percent of consumers consult reviews or ratings before landing on a business. Business reviews are a really big deal. But what does this have to do with you as an individual? Everyone is a stalker. People are online researching people they’ve met in business. When you’re in business, you are getting stalked. Craine guarantees us we’re all being stalked. By association, you are part of the company brand. Everything online about an employee reflects on the company. With everything else equal, people buy from people they like. Buy the domain name for all your employees. It’s $10 for a domain. It’s $20-45 for a good WordPress template. It’s $10 a month for hosting (or less!). If you and your employees dominate the first page, you’re way ahead of the game.